WNCHA is proud to present a fantastic lineup of educational events in 2019. Call 828-253-9231 or email [email protected] for more information. Most events are complimentary for WNCHA members and have a $5 fee for others. Join us at the Reuter Center at UNC-Asheville on Saturday, March 2nd, as we celebrate the release of a new volume of work by local author, chef, and musician Susi Seguret. 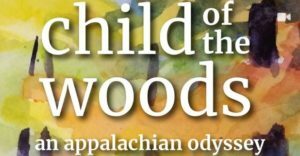 CHILD OF THE WOODS is a uniquely beautiful collection of short stories and observations drawn from Susi’s experiences growing up in the natural settings of rural Appalachia. Susi will read from her book and share stories and reflections from her youth in Madison County, North Carolina. Admission is a $5 donation, free admission for Western North Carolina Historical Association members.